Royston Turquoise is mined out of Nevada and has a beautiful mix of blues and greens accented by brown matrix. 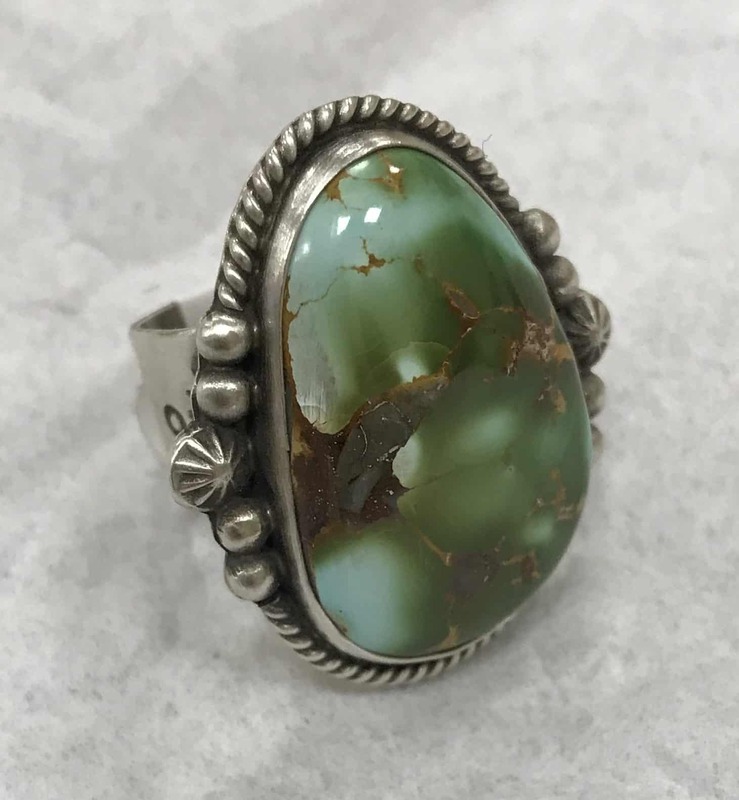 Royston is a sought after turquoise and is as recognizable as Kingman. This Royston Turquoise ring is detailed with rosette trim, and rope edging creating a stunning right hand ring.